Do your players need to work on their hitting control? Watch this! Mark Barnard, associate head coach at Oregon State, demonstrates this simple ball control drill where players must focus on hitting a specific target. Three players are back row on both sides. The coach assigns players on each side with one of three roles: digger, setter, and hitter. 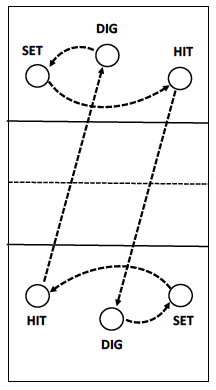 For example, the left back player digs, the middle back player sets, and the right back player hits. The drill is initiated with a free ball to the digger. The dig, set, hit sequence is performed and the hitter must aim at the opposing digger. As the group gets good, hitters can progress from standing to jumping and a second ball can be added. 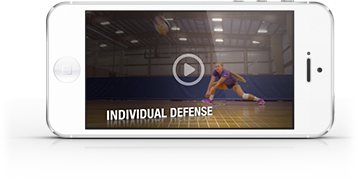 If you want to view more videos on teaching ball control, go here, or click on one of the videos below.